Is it possible to come to the theater in jeans, where to go after the third bell and what are the cultural people doing at the intermission? If you are not sure that you remember the rules of visiting the theater, take our advice into service. 1. Do not forget about the dress code. There is an unspoken rule of theatrical etiquette: the dress for the performance should cost as much as the tickets. This is not a strict rule, but it is customary to observe it at high-profile premiers. Usually at such events a smart social audience gathers - what to do, you have to match. If in the invitation card there is a mark of Black Tie (kind of formal dress code), it means that you are expected to have the most presentable appearance. The same rule applies to visiting opera and ballet: it is believed that "solemn" genres require strict costumes and evening dresses. 2. Do not go to extremes. The XXI century is in the yard, and therefore there is no strict ban on casual style (even in the context of theatrical performances). If you took tickets for an ordinary performance, and not for a gala concert, then jeans and other casual clothes are quite acceptable. Many stylists are of the opinion that such unofficial outfits are inappropriate. At the same time, the administrators of the London Shakespeare Theater Company judged this way: let the audience wear jeans if they want, but still come to the performances. In addition, many modern productions take place in unusual scenery: for example, at train stations or in former production shops. In this case, jeans and sneakers will look more logical than dresses in the floor and hairpins. After the third bell, the entrance to the auditorium is forbidden. To hope that it will be possible to agree, it is not necessary: ​​this rule is rather strict. Therefore, when you visit the theater, calculate the time in advance. If you have tickets to the ground floor, the controller will find you a place. In any case, if after the third call you are still allowed, do not make your way to your place on someone else's knees. Just take the first free chair that is closest to the entrance. During the intermission, you will have the opportunity to change seats in your rightful places. And do not forget about the fact that you have to go to your place solely to face the seated. If you are accustomed to taking crispy snacks and cola with you, forget about them when you are going to the theater. No sweets and gum. It is acceptable to bring a small bottle of water. You can not talk during the play, even in a whisper - it's ugly and hinders neighbors. Just grabbing for a mobile phone is considered bad form. Moreover, during the intermission there are many other, no less interesting activities. For example, you can visit the buffet and discuss your impressions with friends. Only you need to do this quietly, without attracting unnecessary attention. 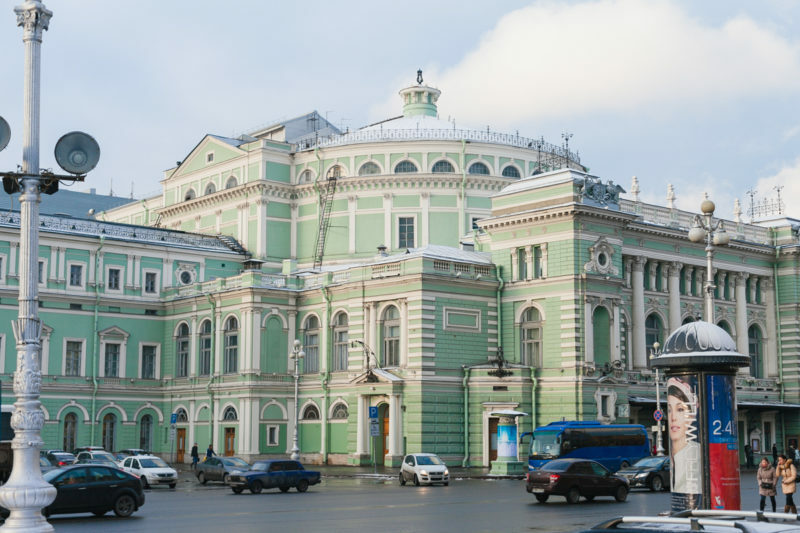 Do not forget to stroll along the foyer: often there are exhibits of costumes and posters, or interesting information about the theater and artists. After the end of the performance, do not run to the wardrobe headlong to get the fur coat as soon as possible and not stand in lines. Remember that the artists will bow. By the way, at this moment you can present the flowers you brought. It is impossible to climb the stage, so just stand in front of the first row and drag the bouquet. Either pass it through a theater employee. You can leave after the curtain is closed. If you go to the theater as a couple, then remember: a man leads a woman to the theater, and not she. So, within the framework of theatrical etiquette, the role of the man is leading. He keeps tickets and presents them to the controller, helps to take off his coat and puts it in the wardrobe, keeps the numbers at home, goes first to the seats and helps the lady to sit down.